180-gram 8LP box set! Numbered edition limited to 5,000 copies! A singer, composer and lyricist of exceptional talent and unmatched influence, Joni Mitchell has crafted an extraordinary body of work spanning more than 40 years and is widely regarded as one of the brightest musical lights of recent generations. 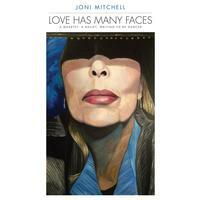 This Joni Mitchell-curated 8LP collection features 53 newly remastered songs recorded throughout her landmark career that evoke her vision of love.